Once again, it’s time for us to delve into the world of tabletop gaming. We’ve seen the rise of cooperative concepts in video games in recent years, and there is a similar pattern in board and card gaming. Today, we’ll consider one of the most popular board games released last year, the highly thematic and gorgeously produced Zombicide. In recent years, the undead have all but taken over the pop culture landscape. The Walking Dead is one of the hottest shows on television. Left 4 Dead and Dead Island, as well as the famed zombie maps in Call of Duty, make a strong showing for the risen dead in video games. 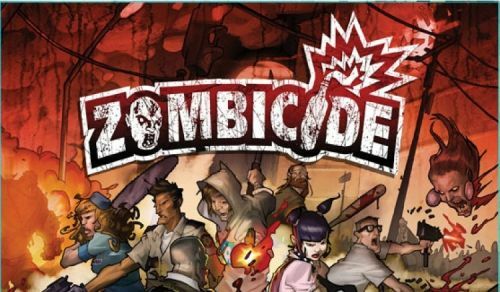 And in the realm of board games, zombies are similarly popular, across a variety of titles including Last Night on Earth and Zombie Dice. Zombicide joins this latter group, bringing a new cooperative experience to your tabletop gaming time. Game play is fast paced and visceral, and the horrific theme of the game really comes through. The components are excellent, particularly the dozens and dozens of zombie miniatures. Throw in high replayability due to a variety of scenarios and the easily tweakable difficulty level, and you have a box full of undead co-op goodness for any group of zombie fans. The most striking aspect of Zombicide is the high quality of the included miniatures. The base game includes 71 miniatures, including six heroes for the players to control. Publisher Cool Mini or Not clearly knew what they were doing when designing these glorious bits, and seeing the assembled zombie horde is impressive every time. Several different sculpts are included, giving you a wide variety of brain-craving baddies to shoot, slice, or blow up. There’s definitely a lot of cool plastic stuff in the box, making it nice for all gamers but especially those who enjoy painting miniatures. 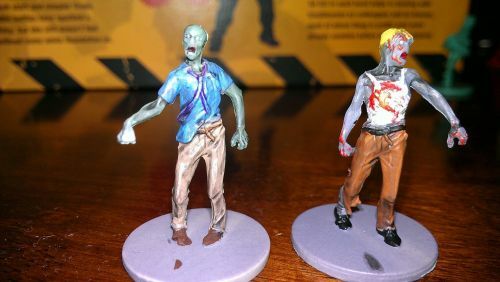 Hero characters are similarly well sculpted in colorful plastic, and include several of the classic tropes of zombie fiction as well as some obvious nods to famous characters. One hero is the spitting image of Die Hard’s John McClane, and one exclusive character is clearly based on Danny Trejo. An office nerd dual wielding Uzis, a katana-equipped femme fatale, and a fast food waitress on roller skates armed with a chainsaw are other interesting heroes that round out the mix. These heroes have a lot of character, and each of them have different abilities that give them advantages in the game, like extra movement, better weapons, or the ability to sneak past zombies in a pinch. Page created in 0.6302 seconds.